All rights reserved and actively enforced. "In June 2009, the Financial Accounting Standards Board issued an amendment to the accounting standards for transfers of financial assets (SFAS 166) and an amendment to the accounting standards on consolidation of variable interest entities (SFAS 167). Both amendments are effective and will be applied prospectively by the company on January 1, 2010 ... Under these accounting standards, the company will record the underlying mortgage loans in these single-family PC trusts and some of its Structured Transactions on its balance sheet. These mortgage loans have an outstanding unpaid principal balance of approximately $1.8 trillion as of September 30, 2009... While Freddie Mac continues to evaluate the impacts of adoption, the company expects that the adoption could have a significant negative impact on its net worth." "We do not expect to operate profitably in the foreseeable future"
"At the time the Federal Housing Finance Agency (FHFA) placed Fannie Mae and Freddie Mac into conservatorship in September 2008, Treasury established Preferred Stock Purchase Agreements (PSPAs) to ensure that each firm maintained a positive net worth. Treasury is now amending the PSPAs to allow the cap on Treasury's funding commitment under these agreements to increase as necessary to accommodate any cumulative reduction in net worth over the next three years." "All told, the Federal Reserve purchased $300 billion of Treasury securities and currently anticipates concluding purchases of $1.25 trillion of agency MBS and about $175 billion of agency debt securities at the end of March. I currently do not anticipate that the Federal Reserve will sell any of its security holdings in the near term. However, to help reduce the size of our balance sheet and the quantity of reserves, we are allowing agency debt and MBS to run off as they mature or are prepaid. In the long run, the Federal Reserve anticipates that its balance sheet will shrink toward more historically normal levels and that most or all of its security holdings will be Treasury securities." - Federal Reserve Chairman Ben Bernanke, "Federal Reserve's Exit Strategy"
Let's put two and two together here. Fannie Mae and Freddie Mac are already insolvent, and face "significant negative impact" on their net worth resulting from the required consolidation of "off balance sheet" loans into their financial reporting, which will take effect in financial statements for periods beginning January 1, 2010. Over 60% of the U.S. foreclosure market now falls under the umbrella of these two entities. Under the Housing and Economic Recovery Act of 2008 (HERA), Congress authorized the Treasury to provide sufficient funding to insure up to $300 billion dollars of original principal. Yet in a move that was clearly no part of Congressional intent, the Treasury has announced that it will allow this commitment to "increase as necessary to accommodate any cumulative reduction in net worth over the next three years." Coincident with this, the Federal Reserve has accumulated nearly $1.5 trillion of Fannie Mae and Freddie Mac securities (MBS and agency debt), which is has no plan to liquidate other than lip service. Rather, it is allowing these securities to run off through maturity and pre-payment. Of course, the funds to pay off those maturing securities will largely come from the Treasury. Meanwhile, Bernanke has made it clear that the most important tool of the Fed during the interim will not be liquidation of these securities, but instead the payment of interest on bank reserves. If one is alert, it is evident that the Federal Reserve and the U.S. Treasury have disposed of the need for Congressional approval, and have engineered a de facto bailout of Fannie Mae and Freddie Mac, at public expense. 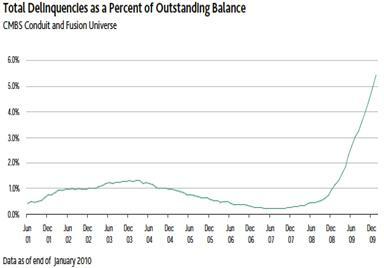 Below is a chart of the composition of the Federal Reserve's balance sheet, in billions of dollars. Against these assets, the Fed creates currency and bank reserves, which comprise the "monetary base." Clearly, the volume of Fed-supplied stabilization funding in the system is still enormous. As James Hamilton has observed, "it seems not coincidental that, when you look at the total of all the assets the Fed is holding, the expansion of MBS purchases exactly offsets the declines from phasing out the short-term lending facilities. As a result of the MBS and agency purchases, the total assets of the Federal Reserve today exceed the total reached at the peak level of activity for the lending facilities in December 2008." Step 1: Federal Reserve purchases $1.5 trillion in Fannie Mae and Freddie Mac securities, creating $1.5 trillion of monetary base to pay for these purchases. Step 2: U.S. Treasury quietly announces unlimited 3-year support for Fannie Mae and Freddie Mac on December 24, 2009, indicating that it is acting under the authority of a 2008 law (HERA) that was originally written to insure a maximum of $300 billion in total mortgage principal (not losses, but principal). Step 3: Fed Chairman Ben Bernanke testifies to the House Financial Services Committee on February 10, 2010 that "I currently do not anticipate that the Federal Reserve will sell any of its security holdings in the near term. However, to help reduce the size of our balance sheet and the quantity of reserves, we are allowing agency debt and MBS to run off as they mature or are prepaid. In the long run, the Federal Reserve anticipates that its balance sheet will shrink toward more historically normal levels and that most or all of its security holdings will be Treasury securities." During the interim, the Federal Reserve indicates that it expects to limit the extent to which banks lend out the base money created in Step 1, through a policy of paying interest on bank reserve balances. Step 4: On February 11, 2010, with Treasury backing in place, Fannie Mae and Freddie Mac (whose delinquency rates have more than doubled over the past year) announce the purchase of $200 billion in delinquent mortgages that they had previously guaranteed. The entire remaining principal balance will be paid to investors at face value. This action provides a glimpse into the future: Fannie and Freddie take bad mortgages onto their balance sheets, extinguish the MBS securities at face value, and rely on Treasury funding to fill the gap. Step 5: In the next few years, the U.S. Treasury can be expected to issue up to $1.5 trillion in new Treasury debt to the public, taking in much of the $1.5 trillion in base money created by the Fed in Step 1. Step 6: Proceeds (base money) received from new Treasury debt issuance are periodically transferred to Fannie Mae and Freddie Mac in order to cover cumulative balance sheet losses. Step 7: Over a period of years, Fannie Mae and Freddie Mac use the proceeds to redeem mortgage securities held by the Fed, thus reversing the Fed's transactions in Step 1, without the need for liquidation or any other "unwinding" transactions. If the MBS securities extinguished in Step 4 are not directly held by the Fed, the Fed can be expected to simultaneously sell an equivalent amount of its own holdings out to the public, so that the publicly held stock of MBS remains constant. In any event, the base money created by the Fed ultimately comes back to the Fed, and the mortgage securities purchased by the Fed disappear, by burdening the American public with a new, equivalent obligation in the form of U.S. government debt. Outcome: The Federal Reserve closes its positions in Fannie Mae and Freddie Mac securities, the quantity of outstanding Fannie Mae and Freddie Mac liabilities declines by as much as $1.5 trillion, thus allowing their remaining assets repay the remaining liabilities despite insolvency, and the outstanding quantity of U.S. Treasury debt expands by as much as $1.5 trillion in order to protect the lenders, while ordinary Americans continue to lose their homes and jobs. This would all be really clever if it weren't so insidious. On Bloomberg television last week, James B. Lockhart III, the former head of the Federal Housing Finance Agency (Fannie and Freddie's regulator) commented on the bailout funds already provided to Fannie and Freddie, saying "Most of that money will never be seen again. They were just allowed to leverage themselves so dramatically." As of last week, the Market Climate for stocks was characterized by unfavorable valuations and unfavorable market action. The Strategic Growth Fund is fully hedged. Given our current position, the primary driver of day-to-day fluctuations in Fund value is the difference in performance between the stocks held by the Fund and the indices we use to hedge. While this performance differential has been the primary contributor to the Fund's long-term returns, it can be both positive or negative on a day-to-day basis. My impression continues to be that current concerns such as the Greek debt crisis are far less important that the incipient backlog of foreclosures and mortgage losses we are likely to observe on all classes of adjustable rate mortgages in the next few quarters. The latest report from RealtyTrac, for example, notes " January foreclosure numbers are exhibiting a pattern very similar to a year ago: a double-digit percentage jump in December foreclosure activity followed by a 10 percent drop in January. If history repeats itself we will see a surge in the numbers over the next few months as lenders foreclose on delinquent loans where neither the existing loan modification programs or the new short sale and deed-in-lieu of foreclosure alternatives works." Frankly, it is too early to declare that the government interventions in the financial markets last year "worked." They were certainly effective over the short run, particularly in fostering a significant reduction in the level of investor risk aversion. But to "work" in a larger sense would require that we've solved the problem in a way that will allow us to avoid a second round of credit losses and institutional insolvencies. The evidence on that is unconvincing. The rate of mortgage delinquencies is currently more than double what it was a year ago, even without the impact of Alt-A and Option-ARM resets that can be expected to substantially amplify those difficulties this year. In January, delinquency rates on commercial mortgage backed securities jumped by a greater amount than in any prior month of the recent downturn. Though we've observed a great deal of forbearance in translating those delinquencies into new foreclosures, it is unlikely that this gap between delinquencies and foreclosures will persist much longer. In short, the Greek debt crisis is interesting in its own right, but I suspect that it is not the most important story to follow. In bonds, the Market Climate last week was characterized by relatively neutral yield levels and moderately unfavorable yield pressures. I continue to expect that we will gradually increase our exposure to inflation-protected securities and commodities on substantial weakness in these areas, but as inflation pressures are most likely still several years away, our primary concern here is with fresh credit weakness, and that concern still translates into a moderate exposure to interest rate fluctuations. The Strategic Total Return Fund continues to carry an average duration of about 4 years, primarily in straight Treasuries. The question arises - if indeed we experience a period of rising interest rates or low and stagnant interest rates in the years ahead, how could we position ourselves to achieve anything but similarly low returns? The basic answer is that markets seldom move in a straight line. The Funds have typically achieved their full-cycle returns through effective security selection, and by expanding exposure to risk on market weakness and clipping it in richly valued or otherwise hostile conditions. The S&P 500 has achieved a negative total return over the past decade, but that has not prevented the Strategic Growth Fund from achieving positive absolute returns and even stronger relative returns over the complete market cycle (whether measured from peak to peak or trough to trough). I expect the same to be true for the fixed income markets, where we can adjust our portfolio exposures opportunistically, as we do with precious metals, foreign currencies, TIPS and other investments. That said, investing in a market with poor secular performance (as the stock market has experienced since 2000) is much like flying on a single engine. Over the long-term, we expect our relative performance to be an increment over-and-above the absolute performance of the markets we invest in (though this is certainly not true over periods shorter than a full market cycle). Long term, secular market advances tend to originate from conditions of excellent valuation and surmountable economic headwinds. That type of situation affords good opportunities to accept significant exposure to market risk. So one does prefer to manage cyclical risks within a secular uptrend, as opposed to what we've had to do in stocks over the past decade, which is to manage cyclical risks against a very poor secular background. The same is likely to hold true in the bond market, but again, we have the flexibility to vary our investment exposures in response to market fluctuations, which I would expect to be helpful. The foregoing comments represent the general investment analysis and economic views of the Advisor, and are provided solely for the purpose of information, instruction and discourse. Prospectuses for the Hussman Strategic Growth Fund, the Hussman Strategic Total Return Fund, the Hussman Strategic International Fund, and the Hussman Strategic Dividend Value Fund, as well as Fund reports and other information, are available by clicking "The Funds" menu button from any page of this website. Estimates of prospective return and risk for equities, bonds, and other financial markets are forward-looking statements based the analysis and reasonable beliefs of Hussman Strategic Advisors. They are not a guarantee of future performance, and are not indicative of the prospective returns of any of the Hussman Funds. Actual returns may differ substantially from the estimates provided. Estimates of prospective long-term returns for the S&P 500 reflect our standard valuation methodology, focusing on the relationship between current market prices and earnings, dividends and other fundamentals, adjusted for variability over the economic cycle (see for example Investment, Speculation, Valuation, and Tinker Bell, The Likely Range of Market Returns in the Coming Decade and Valuing the S&P 500 Using Forward Operating Earnings ). Site and site contents © copyright Hussman Funds. Brief quotations including attribution and a direct link to this site (www.hussmanfunds.com) are authorized. All other rights reserved and actively enforced. Extensive or unattributed reproduction of text or research findings are violations of copyright law.